As you’re expecting, you’ll soon get to realize that there are actually more things that you need to take care of than you may have initially thought. For starters, you’ll definitely need to deal with the question of your clothing. 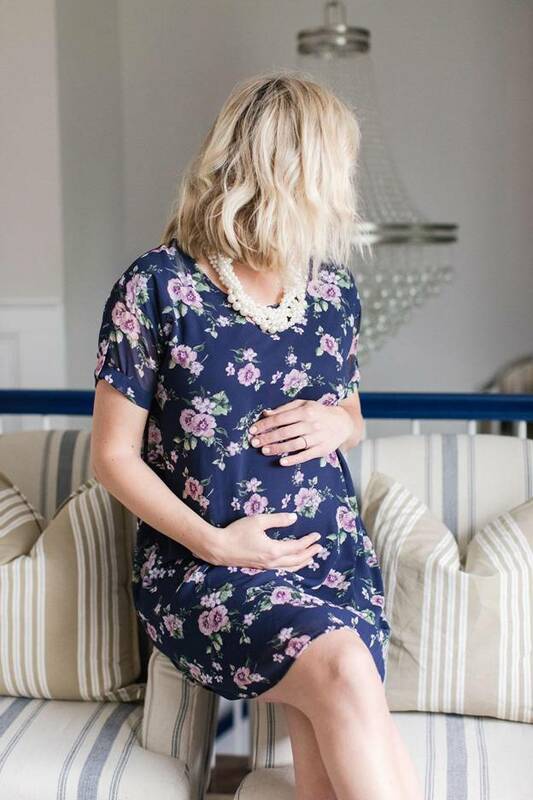 Well, you won’t have to wear maternity wear right from the start, but once you notice that your usual clothes are really uncomfortable and you can’t zip up your pants, it’s definitely time for some maternity shopping. So, what should you know about maternity wear? With the baby coming into your life, you don’t want to waste your money senselessly. That said, keep in mind that you won’t have to buy every single piece of clothing anew. There are definitely items in your wardrobe that will fit you even in the late months of your pregnancy, so count on those as well. Moreover, there’s also the possibility that your body won’t drastically change during the hottest summer or coldest winter months; if that’s the case, you won’t have to really splurge on maternity summer and winter clothes. Basically, be practical about this. Sweats, baggy tees, certain hoodies and sweaters and maybe even some looser/stretchier dresses and skirts you own may turn out to be perfectly acceptable and comfy wear during your pregnancy. When you do buy, what are the essentials? Once you assess what you already have and can use during the pregnancy, it’s time to shift your focus on things that you need to buy. 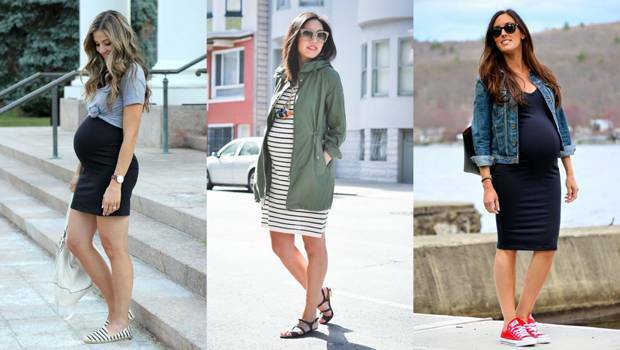 There are several maternity wear staples. For starters, maxi dresses are a great choice. You can find them in different materials for both colder and warmer weather. Moreover, if you find form-fitting dresses more flattering, maxi dresses made of stretchy material are great, comfy and effortless. Basic tees will also come in handy, especially if you don’t already own universal T-shirts. In that case, get yourself a couple of stretchy maternity tees in white, gray and black so that you can easily use them for layering. Jeans will never go out of style, and if they’re already a regular part of yours, you’ll want to get yourself a pair or two of maternity jeans as well. These will be quite comfy for a while even after you give birth. Aside from jeans, good-quality leggings (several pairs) should be your go-to clothing choice as they will be the most comfortable and versatile piece for an expecting mom. While there are always ways to save up on maternity clothes, such as shopping second-hand and even opting for some menswear at thrift stores, you should never budget your underwear. When your body starts to change, top-quality maternity lingerie will be a true blessing, especially comfy bras that provide good support. Just because you’re pregnant doesn’t mean that you won’t be able to attend special occasions such as parties and work gatherings. In that respect, you may want to get yourself a nice, straight cut LBD or some other more formal dresses (wrap dresses are great in this case) so that you can showcase your style and confidence regardless of the trimester you’re in. When you’re buying maternity wear, one of the most important things is for the fabric to have flex to it. So, stretchy and jersey materials should be your go-to. Precisely because there’s a lot of stretch to maternity wear, you also want to make sure that the clothing piece is not sheer when it stretches. This is especially important for leggings. Clothes with ruching will be your best friend as they adjust to any body shape. You can wear such clothes in both the first and the third trimester, problems free. When you buy maternity clothes, don’t settle for anything less than what you like. There are plenty of styles available these days, and you want to feel great in these clothes during your pregnancy and the breastfeeding period as well. So, feel free to pick things you actually like! Don’t stress too much about your maternity wear size. There’s no rule as to how your body will change. In the end, your size before the pregnancy usually doesn’t really matter and it’s not a reliable factor for buying clothes in advance. Therefore, listen to your body and buy new pieces as you need them according to the current fit.